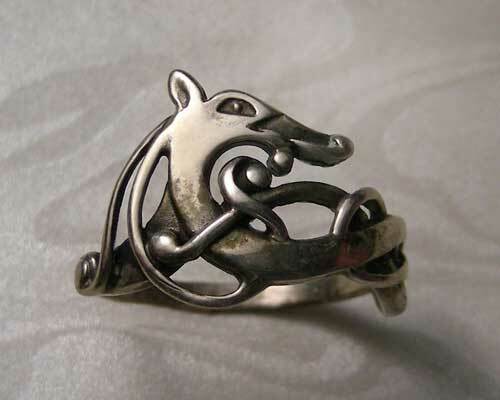 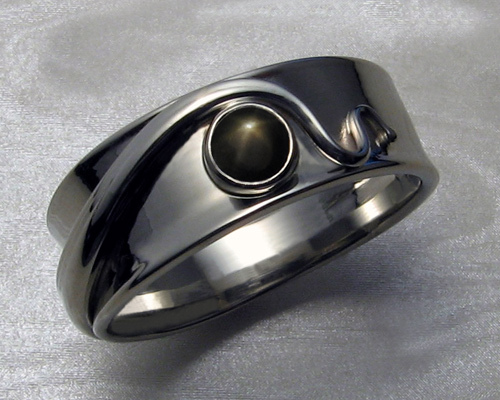 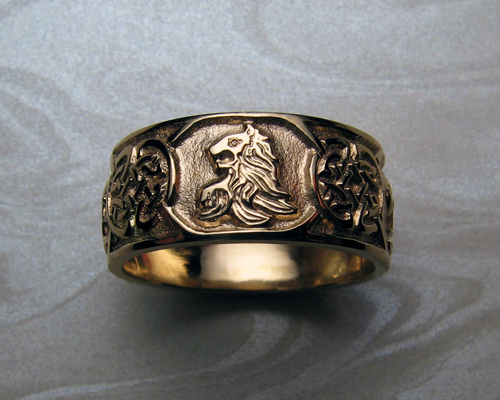 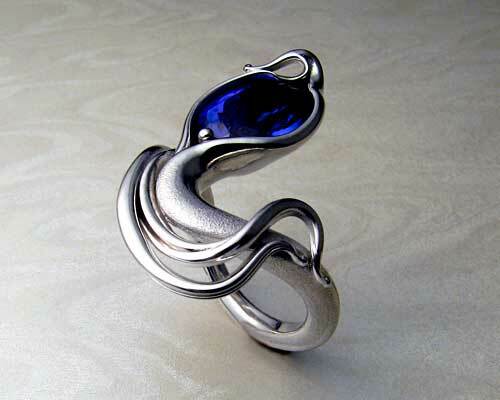 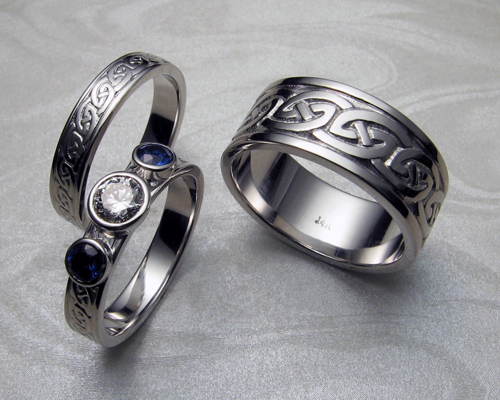 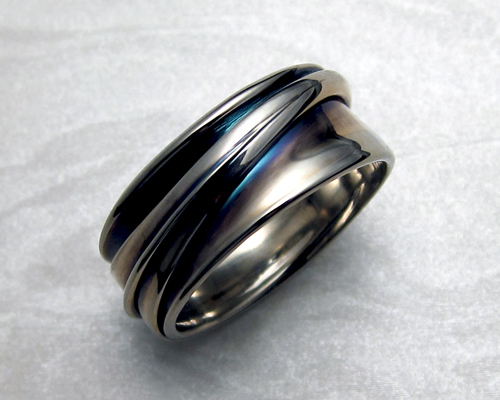 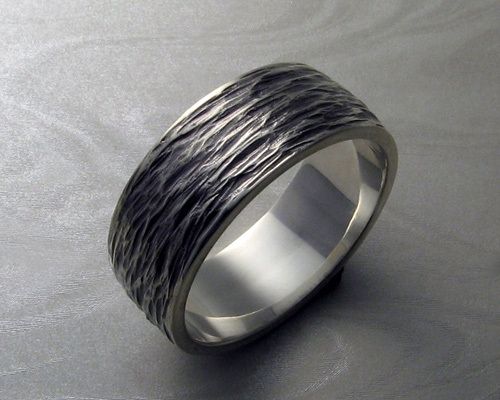 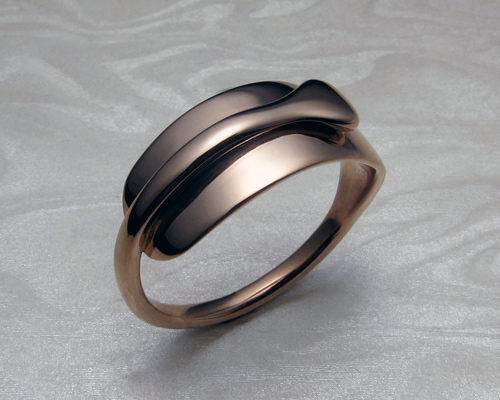 Fluid, organic, freeform gents wedding-ring with black star sapphire. 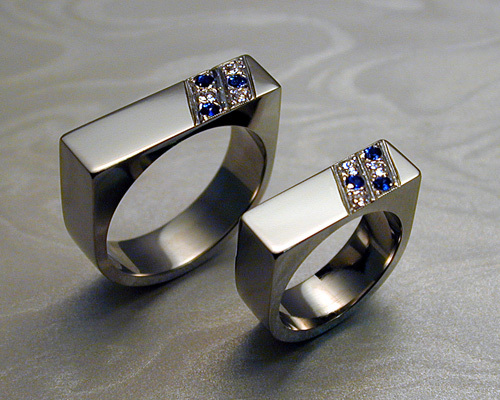 Split bezel, blue sapphire band, 14k white gold. 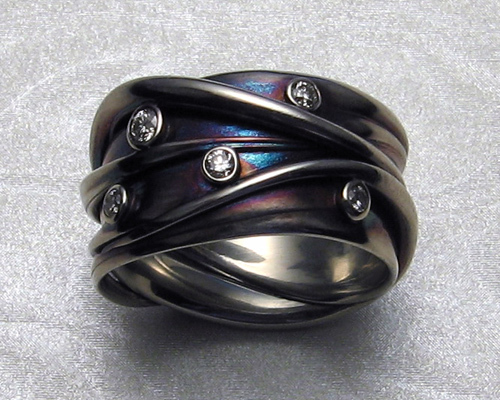 Interwoven, multiple strand, freeform wedding ring. 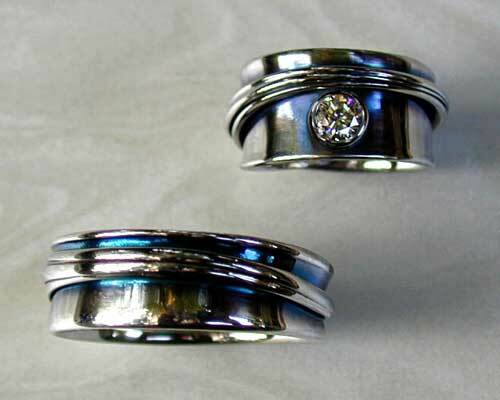 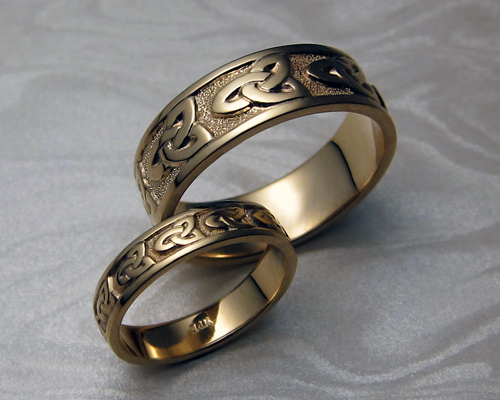 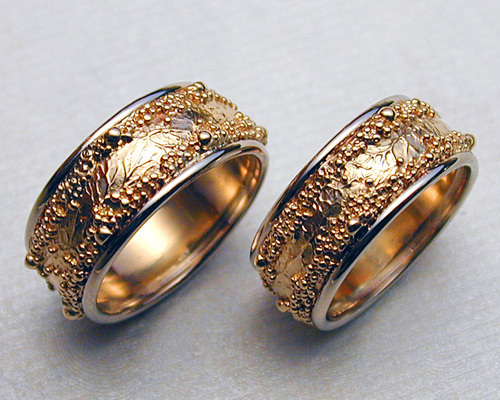 Handcrafted, wedding rings with spherical granulation and branch like textures. 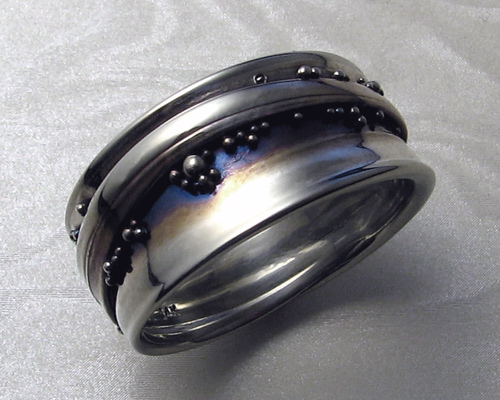 Free-form, wrap-around wedding ring with spherical granulation. 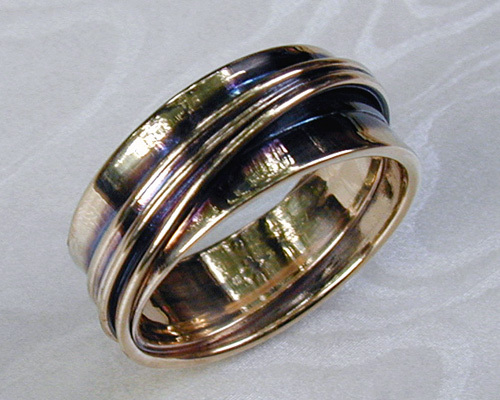 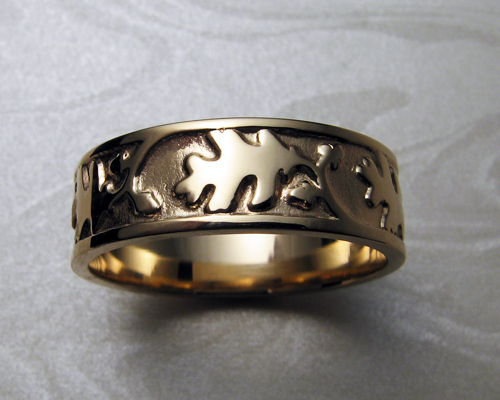 Fingerprint band with matching free-form engagement ring set. 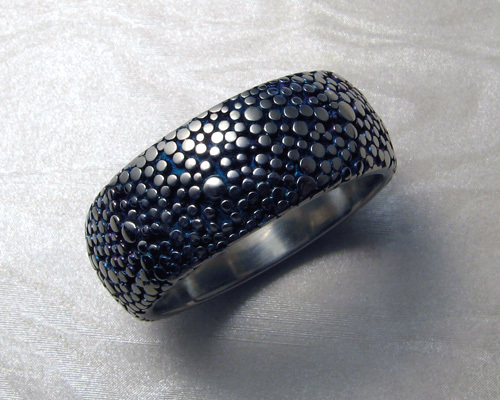 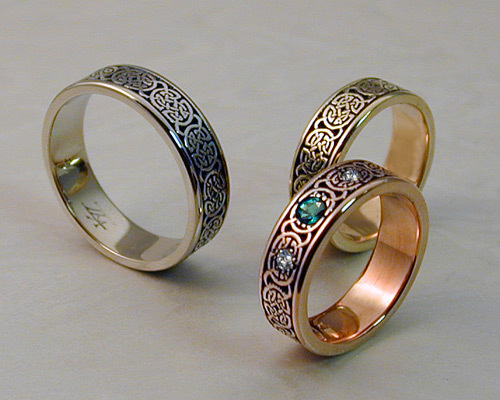 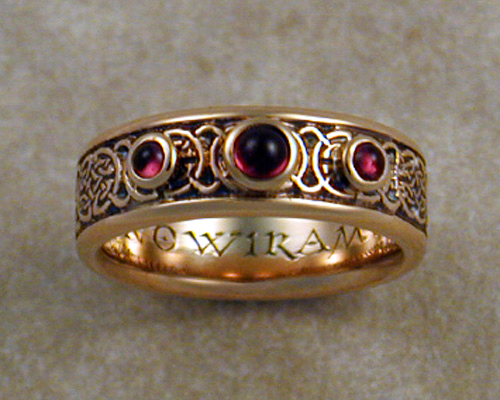 Free-form, wrap-a-round band with spherical granulation. 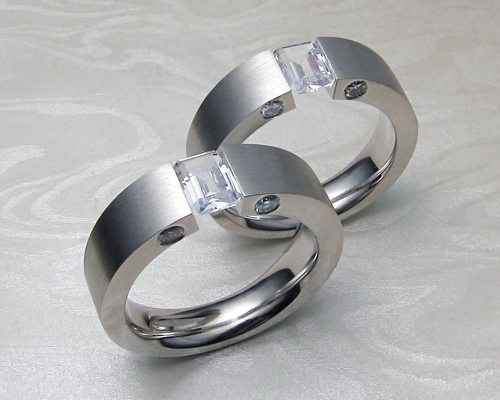 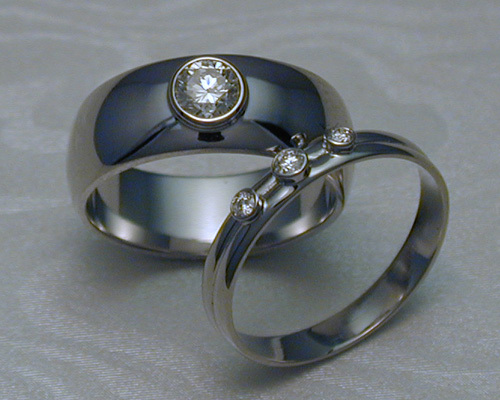 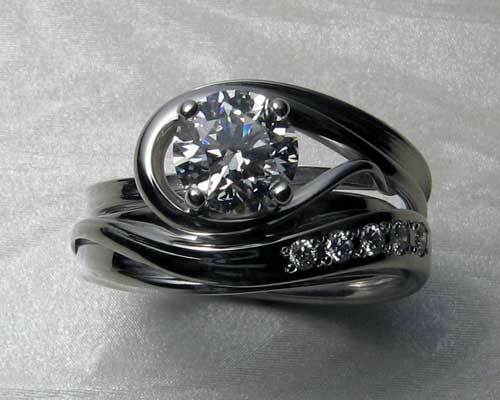 Gents, tension set bands, comfort fit, with white sapphire and four diamonds gypsy set in each. 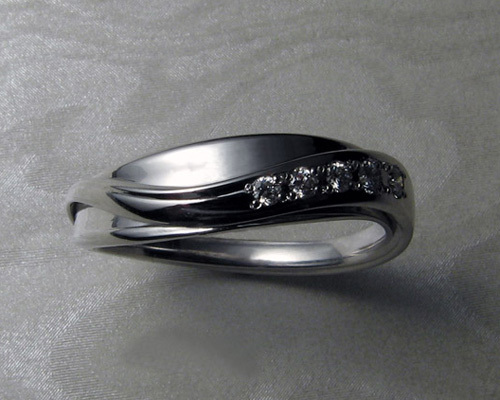 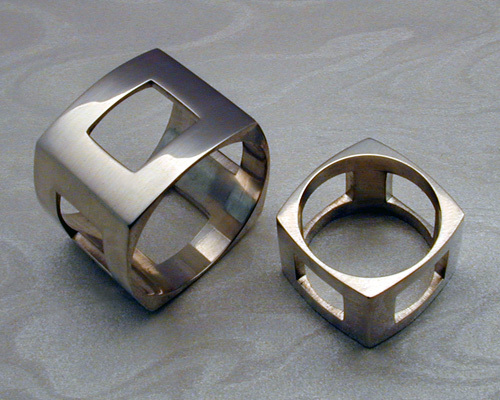 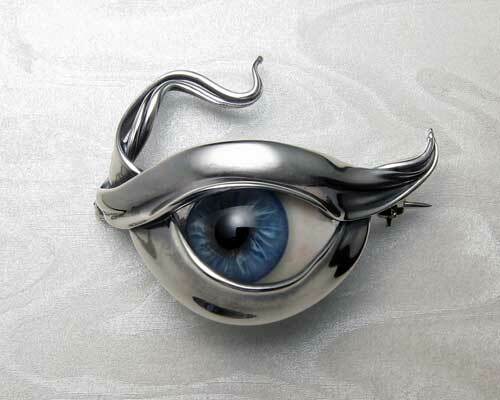 6mm wide, 14k white gold with rhodium finish.